Below you can view all the homes for sale in the Sherwood Park subdivision located in Smyrna Georgia. Listings in Sherwood Park are updated daily from data we receive from the Atlanta multiple listing service. To learn more about any of these homes or to receive custom notifications when a new property is listed for sale in Sherwood Park, give us a call at 404-998-4102. 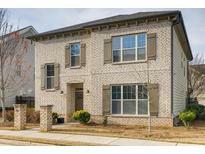 Super Convenient Location Minutes To Interstates, Shopping, Dining! MLS#6522371. Berkshire Hathaway Homeservices Georgia Properties. Formal Living, Dining, Great Room, That Will Pleasure The Most Discerning Entertainer! MLS#6518557. Keller Williams Realty Atl Part. Beautiful Community Near Dining, Lake Court Park, And Highways! MLS#6512145. Keller Williams Realty Intown Atl. Entertaining, Shopping And Dining Close By. MLS#6127775. 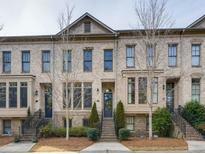 Berkshire Hathaway Homeservices Georgia Properties.